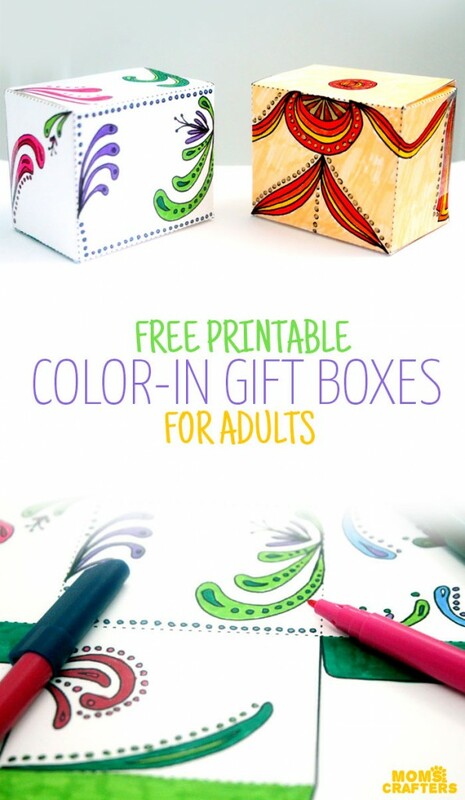 Take your adult coloring to the next level with these Colorable Gift Boxes! They are a free printable designed by Menucha at Moms and Crafters. I love normal coloring pages, but I also love the idea of coloring something 3d like this. Free Printable Coloring Pages for Adults: Coffee Cups!